Just as Far Cry redefined the FPS genre on the PC, Far Cry Instincts will introduce wide open environments and unique, immersive gameplay elements that are destined to become the definition of survival action. In addition to the PC version's signatur.. The Old Man said to the Prince, "Your fate has been written. You will die." Enter the dark underworld of Prince of Persia: Warrior Within, the sword-slashing sequel to the critically acclaimed Prince of Persia: The Sands of Time. Hunted by Dahaka, an.. It is a brutal kind of warfare, which strikes with ferocious singular purpose and with little or no warning. The entire world is its battleground, leaving no civilian safe. As terrorism threatens to unhinge the free world, leaders scramble to assembl.. The next Rainbow Six game will build on the ingredients that have made the Rainbow Six franchise a runaway success, and will introduce new multiplayer elements that inject a vitality and depth into an already stellar multiplayer franchise. In additio..
Splinter Cell™ will grant players access to the highest echelons of national security, where shadowy operatives have the freedom to do whatever it takes to safeguard America. 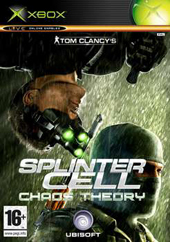 In Splinter Cell™, the player controls Sam Fisher, a field oper.. The year is 2008. Information Warfare has evolved into the most dangerous threat to global stability. You are Sam Fisher, Third Echelon's most skilled Splinter Cell operative. You are assigned to execute a hazardous series of operations to investigat..
Midway Arcade Treasures 2 features hundreds of hours of classic gameplay action from all-time arcade favorites including the blood-spurting intensity of Mortal Kombat II and Mortal Kombat 3, the multi..